By the time the civil war in Europe had, or was near to, ending, there was trouble once again in Britain. Once gain it was the Brigantes that were involved in an internal power struggle. Over ten years earlier, Queen Cartimandua had taken the throne from her husband, Venutius, with the help of the Romans. Now she had rejected her husband and replaced him with her armour bearer, Vellocatus. This did not please Venutius, who plotted a revolt, aided by help from surrounding tribes. The Brigantes were one of the largest and most powerful tribe in the British midlands. They were also the most militant, with the surrounding tribes always on constant guard. The Queen was not inclined to make incursions into neighbouring territory, so the surrounding tribes felt at ease. Being so powerful, they were also a protecting force against any raids from the tribe in the northern part of the country that was not, as yet, under Roman rule. Because of the civil war, the Romans were depleted in strength so Venutius organised a revolt against his wife, the Queen believing that the Romans would not intervene as they were too engaged in Europe. He had reckoned without Bolanus, who sent a force of auxiliary infantry and cavalry to restore calm. After bitter fighting, the rebels won through and barely managed to rescue the Queen from the situation. Venutius was again on the throne of the Brigantes. This changed the climate in Britain significantly. The other tribes did not feel protected anymore. There was a chance that the Brigantes would now make contact with other regions were dissident elements that were still bitter over the Romans had handled the Boudicca rebellion. This called for the Romans to assess the situation of the whole country in general, if they were to avoid another uprising. Bolanus was replaced by Petillius Cerialis. This man a tactician and at the same time erratic. He had earned a reputation in the civil war, but his appointment may well have been more to do with his connections to the Vespasian family. The actual route of the connection is not certain, although it is most likely through a marriage to Domitilla, Vespasian's daughter. It would be a difficult task. Not only did he have to pacify the tribes, but also mend rifts between the Roman legions. Many of those in Britain, were enemies during the civil war. He was chosen for the role, as he had managed to use his flair for diplomacy to unite troops who had supported the opposing side of the Flavian and Vitellian houses. The Roman troops were unmotivated, low on morale. 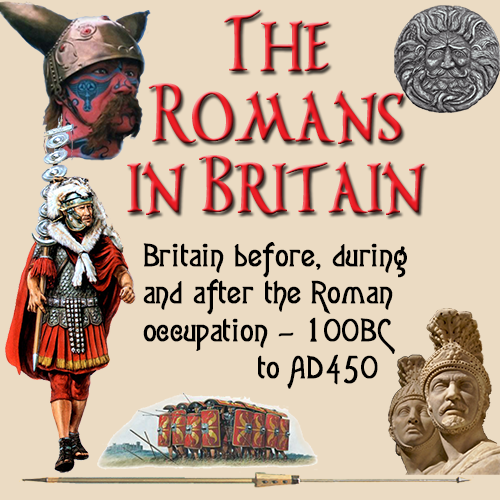 Bolanus had failed to keep the high standards of military discipline the Roman army prided itself upon. Tacitus wrote that there now began a ' succession of great commanders and excellent armies.' The effect of Cerialis was to bring the troops morale back. He also brought in a fresh legion, II Ailiutrix, which was formed during the civil war. This legion was placed at Lincoln, while Cerialis took the 9th into Brigantian territory. They marched up the Staimnore Pass to join the the 20th legion, who were commanded by Agricola. These combined legions then began o move up the western coast. History does not record any significant battle with anyone who had sided with Venutius. The only mention of the possible meetings with the Brigantes, was from Tacitus who wrote of 'many battles, some not unbloody'. We do not know what happened to Venutius after this. Whether he was killed, or escaped to obscurity is unclear. All we know is that he lost power over the Brigantes and was never heard from again.